Rod’s faithful Ford Model A – Tudor Rose is getting to rest up so car 18 on the Peking to Paris 2016 will be her four-door sister from the blue oval family – Ruby, a 1930 Ford Model A, specially prepared for the challenge. “After completing the Peking to Paris 2013, which was a fantastic experience and for me a game changer, I wanted to do it again but needed a better car, ” Rod explains. “In September 2013, I was in the USA hunting for a 1930 Model A Ford but a 4-door model called a ‘Fordor” by Henry Ford! 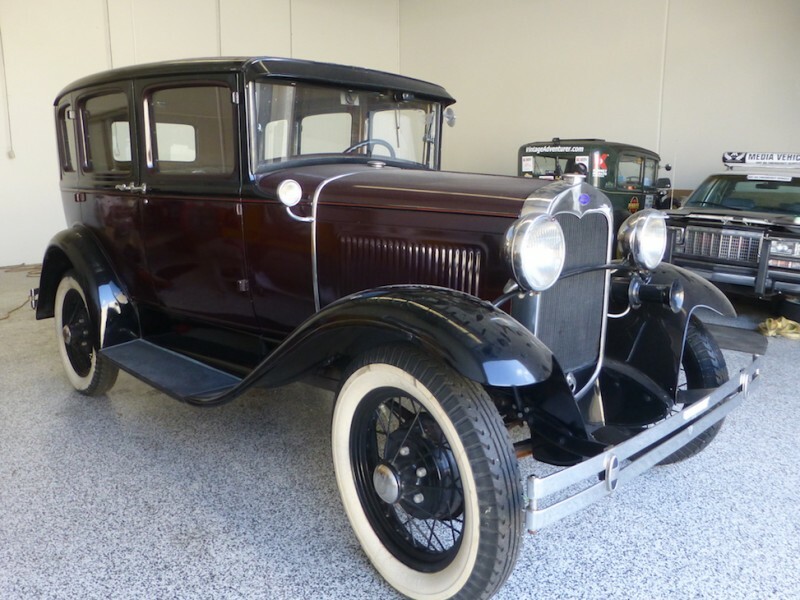 “I was so impressed with the 2013 P2P car the 1930 Model A Ford 2 door ‘Tudor Rose’ that I wanted to do better in 2016 and the only real improvement on the Model A was to have 4-doors instead of two to make it easier to get the gear in and out. The 1930 Model A Ford Fordor achieves that goal. “I located a 1930 Fordor in Hamilton Texas USA and it fitted the bill exactly, I did a rest drive and this baby was as tight as the day it was made and all absolutely original.